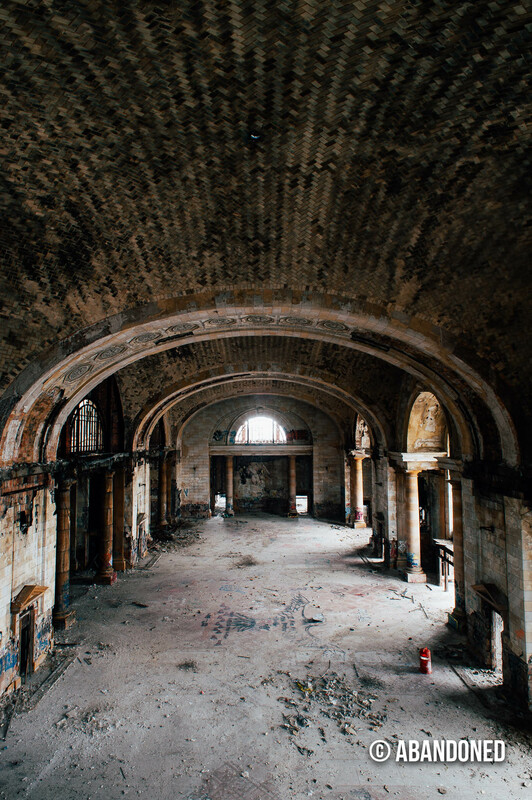 Michigan Central Station, is a former railroad station Detroit, Michigan. 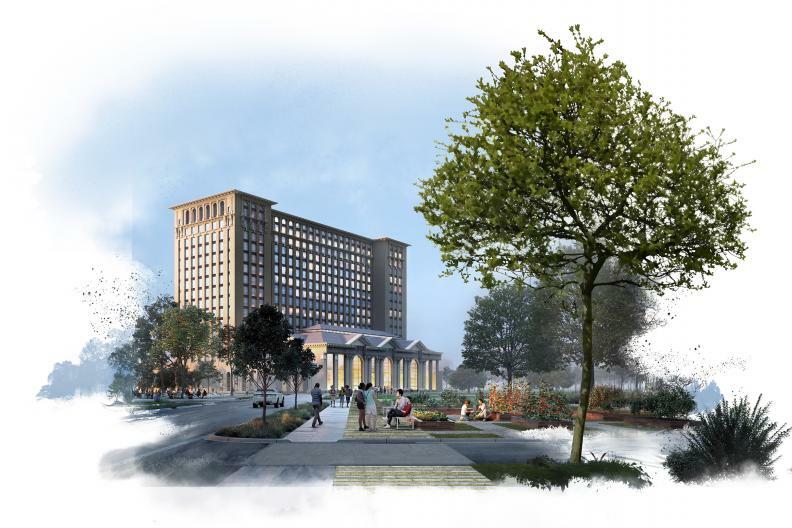 It will become the centerpiece of a new campus for the Ford Motor Company. 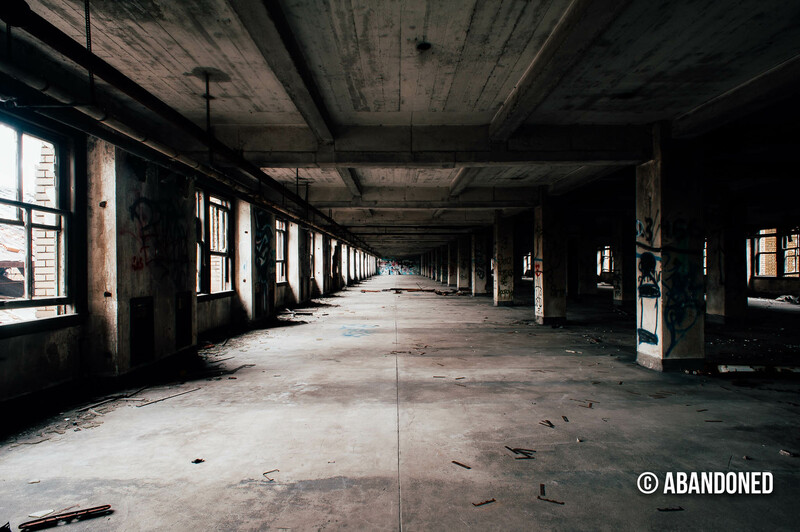 The depot was added to the National Register of Historic Places in 1975 and was abandoned in 1988. 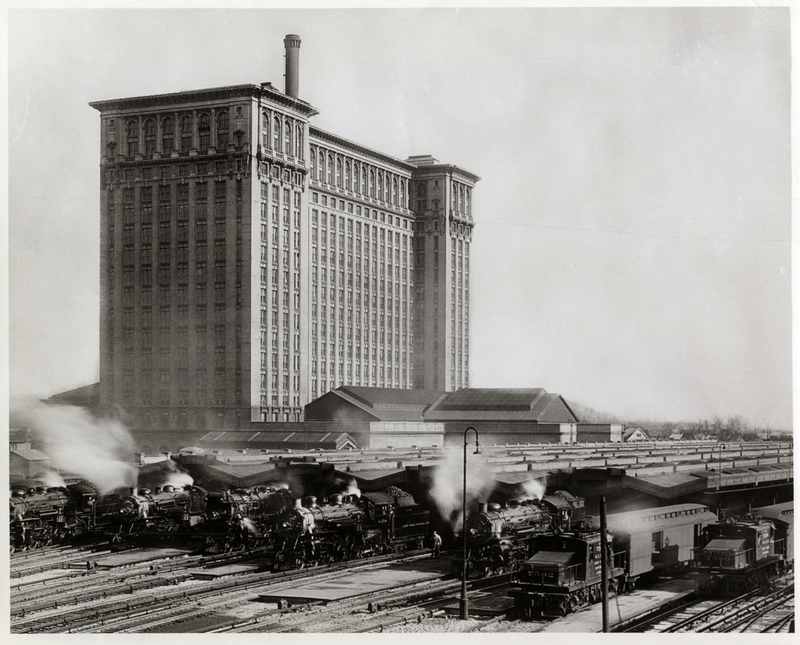 The depot was divided into two components: the office tower and the railroad station. 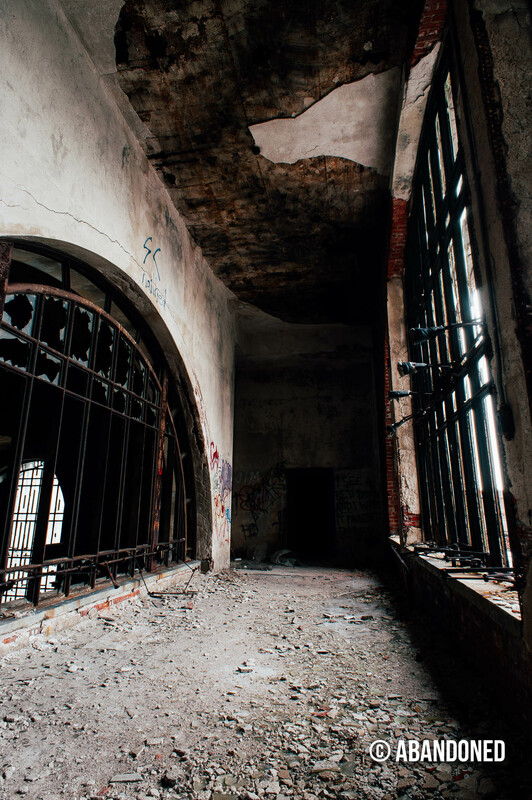 The tower, with a height of 230 feet, was designed to host a hotel and offices. 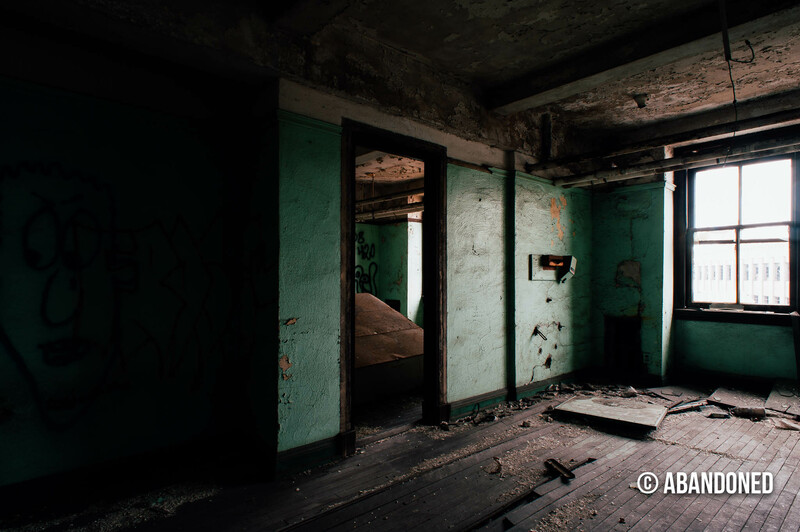 8 All but the top floor was used for offices for the Michigan Central Railroad and the hotel component was never fulfilled. 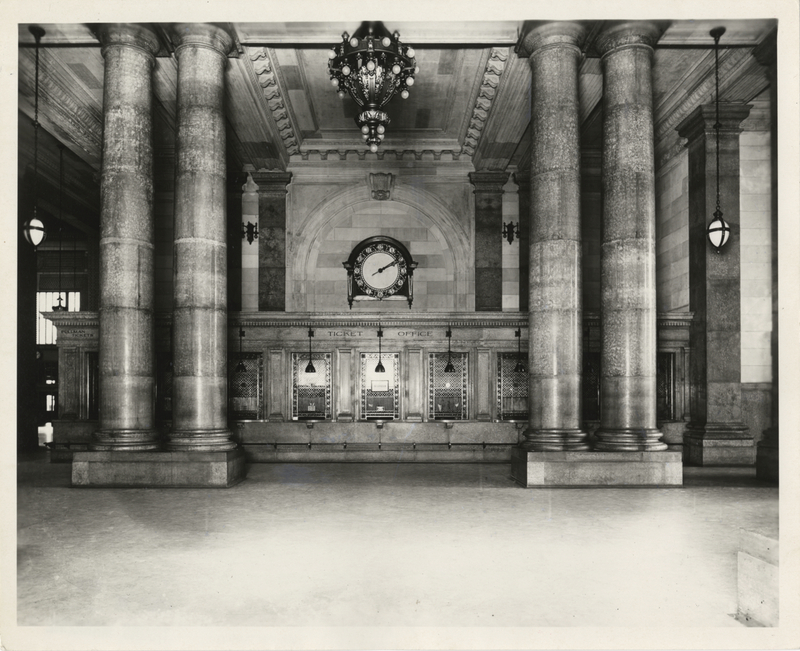 The station’s waiting room was modeled after an ancient Roman bathhouse, with walls of marble accented with Guastavino arches and Corinthian columns. 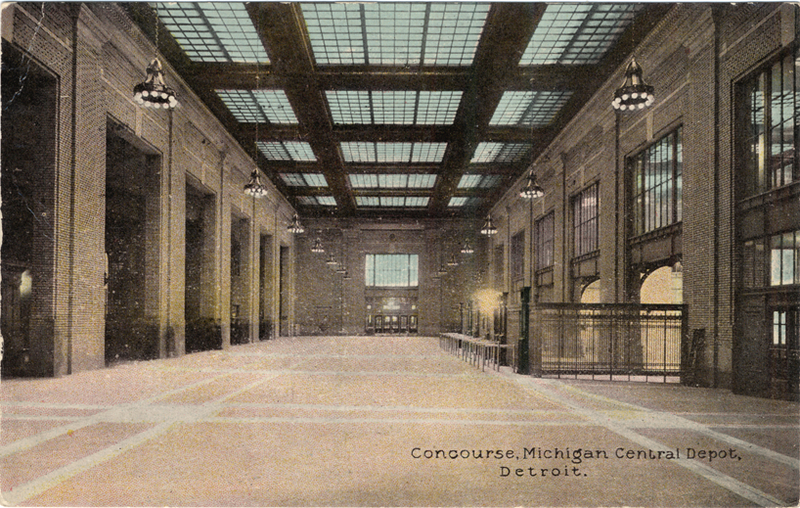 4 6 7 9 The concourse featured brick walls and a large copper skylight. 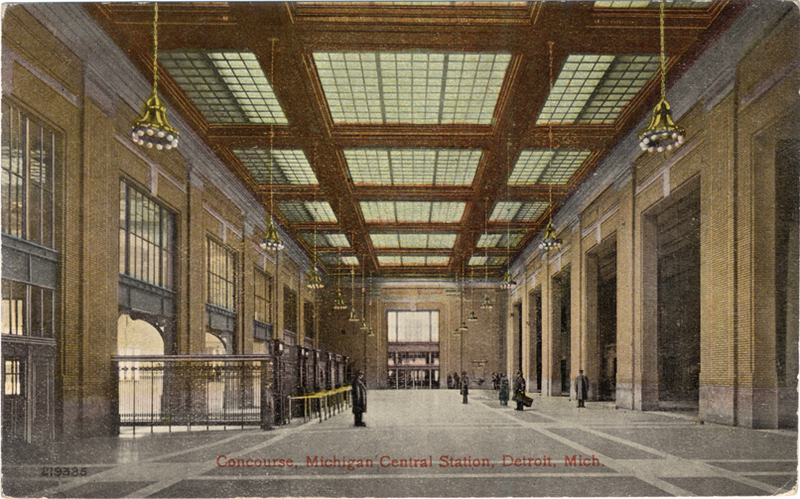 From the central hall, passengers could walk down a ramp to 11 departing train platforms. 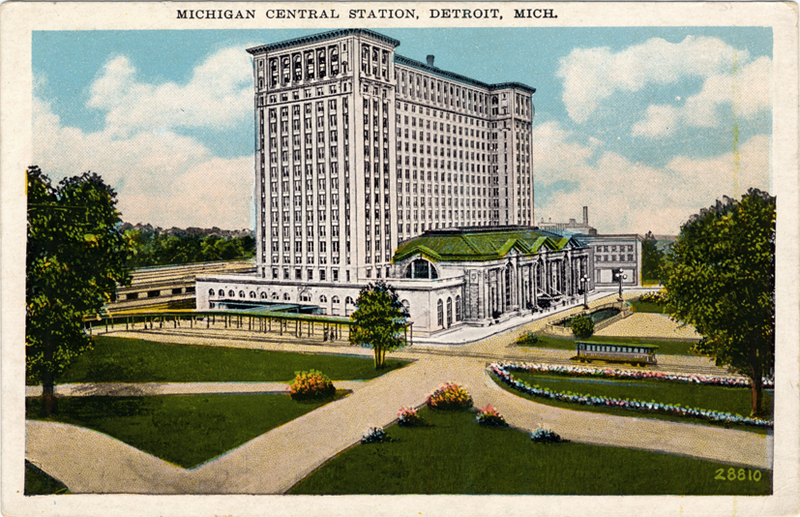 In 1956, Michigan Central Railroad attempted to sell the building for $5 million in an attempt to downsize and move to a smaller size. 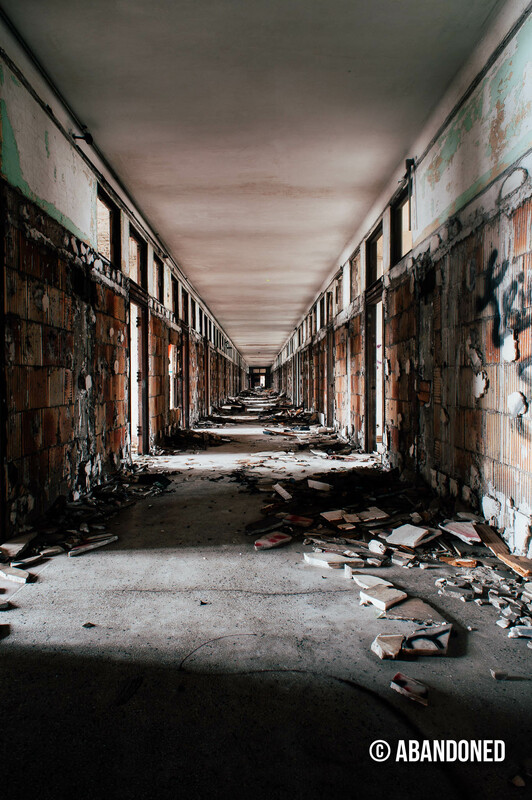 7 9 The asking price was only a third of the original building cost. 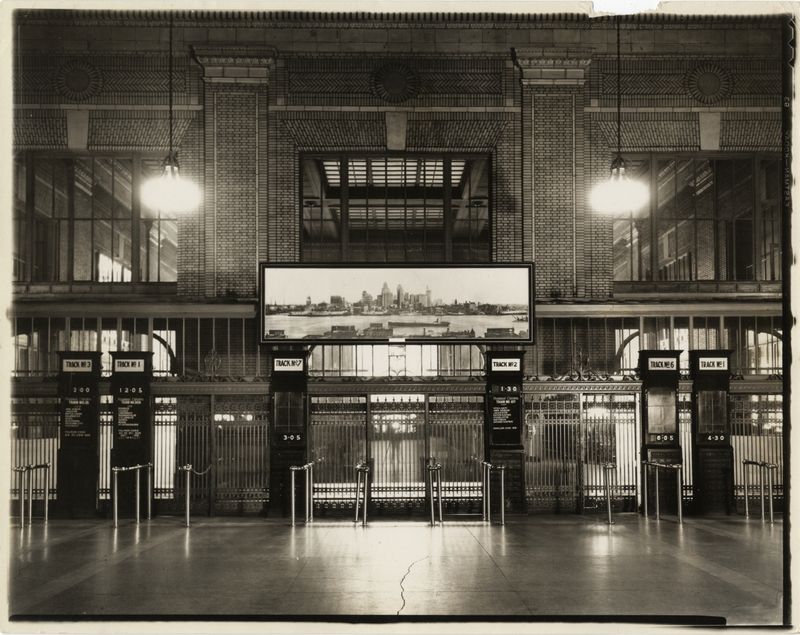 The first attempt to sale the building failed, and the station was placed for sale again in 1963. 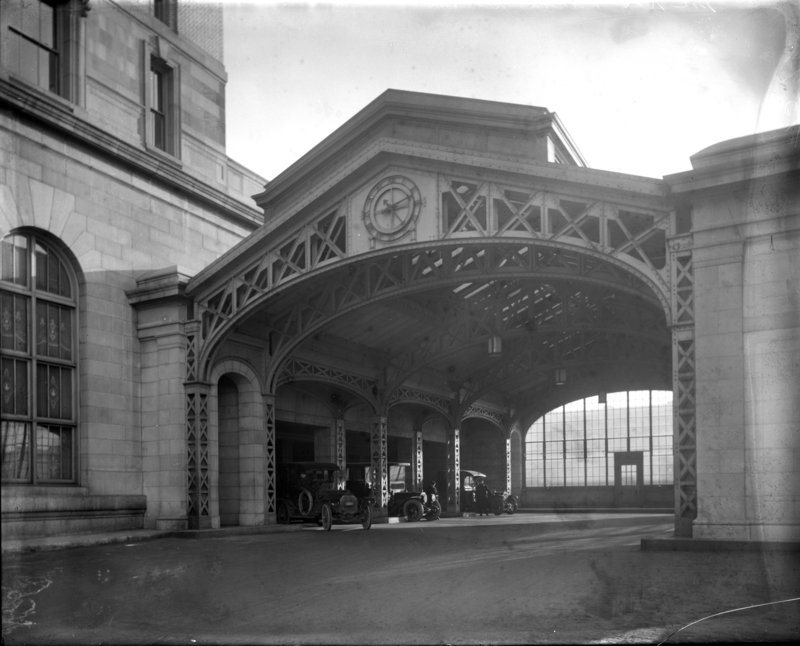 The restaurant, arcade shops, and the main entrance closed in 1967 due to declining usage. 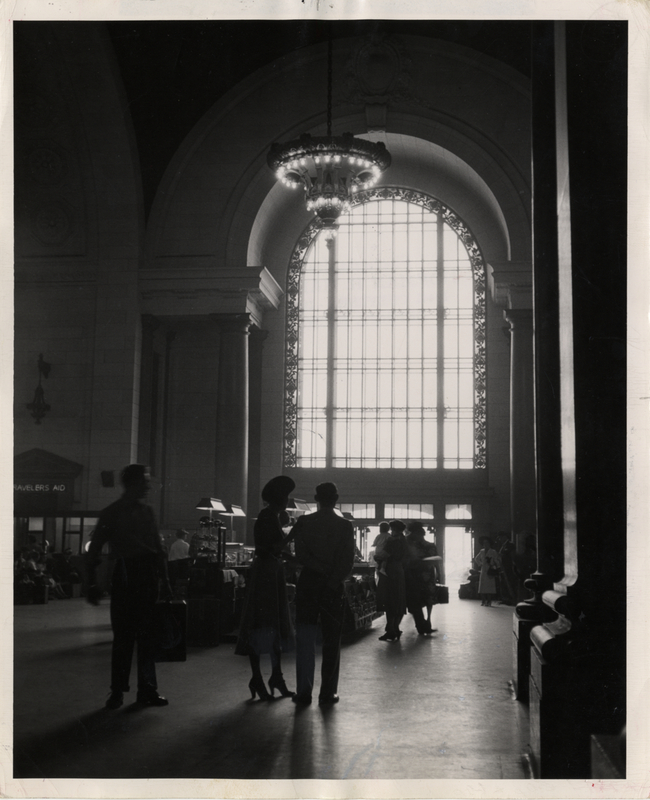 7 8 9 Much of the central waiting room was also shuttered, and passengers were rerouted to a rear door. 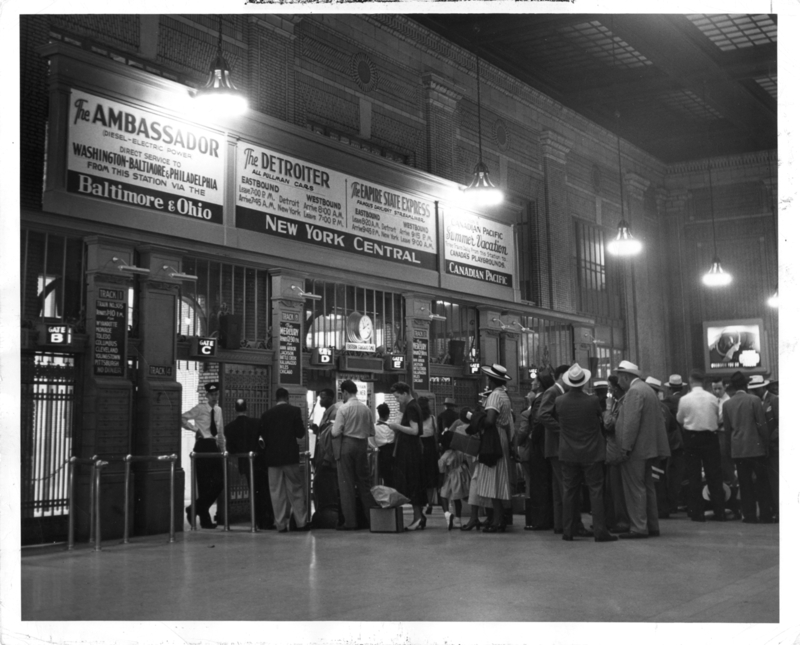 Only two ticket windows were maintained, and passengers shared the same parking lot as railroad employees. 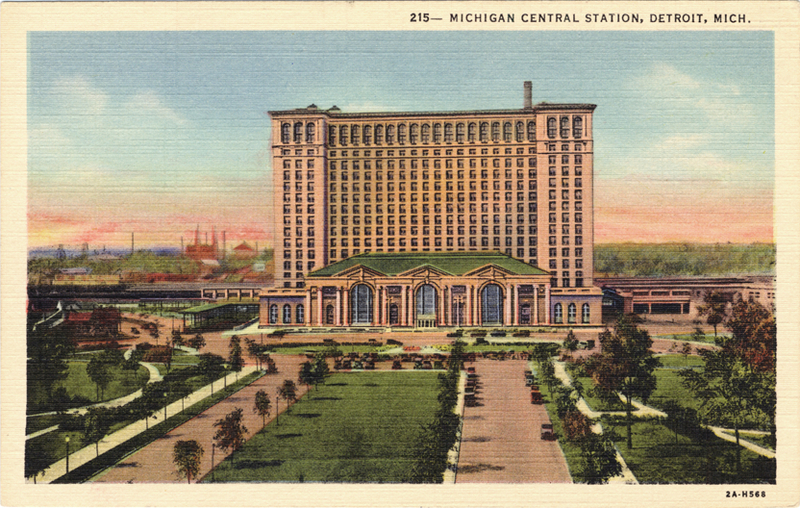 In 1984, Michigan Central Station was sold for a transportation center project that never happened. 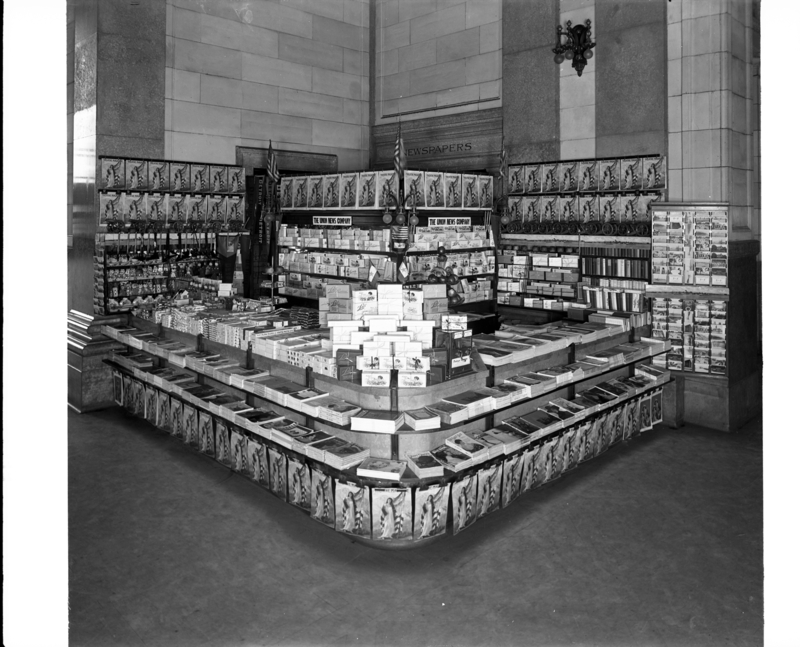 7 9 It would have included provisions for high-speed passenger rail and enhanced bus terminals. 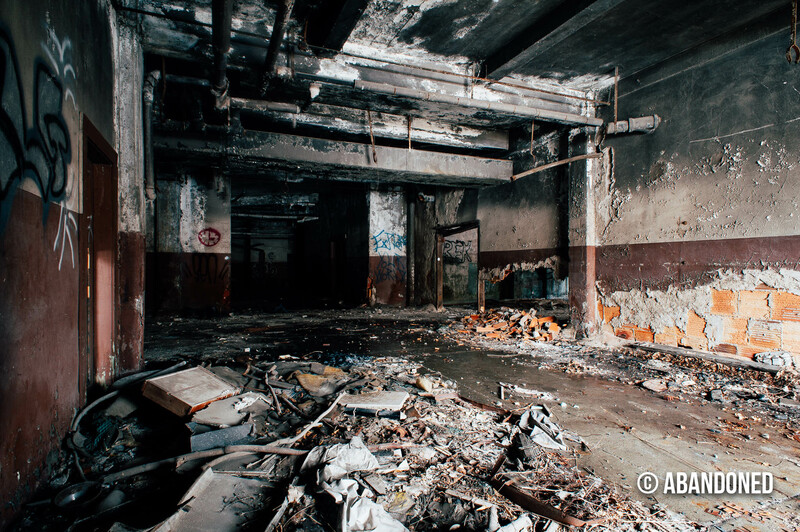 Various proposals for the restoration of Michigan Central Station were floated since the building’s closure in 1988, including a Trade Processing Center that would convert the building into a customer and international trade processing center. 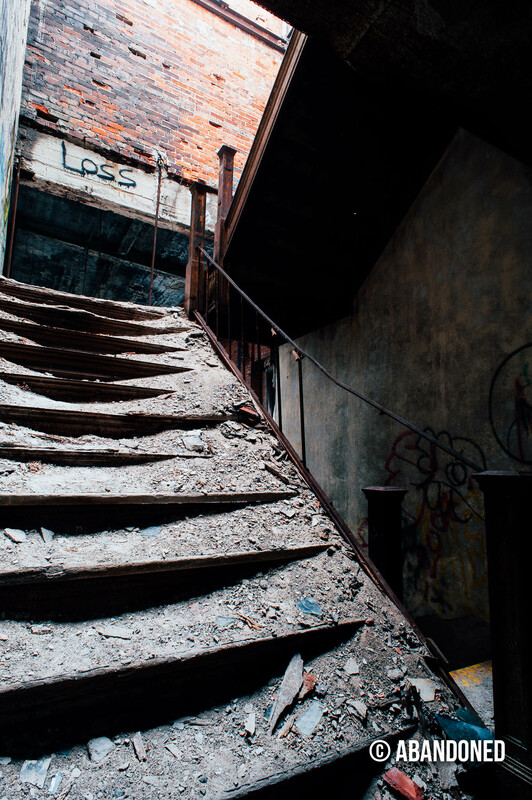 2 7 It was considered advantageous due to its proximity to the Ambassador Bridge to Canada. 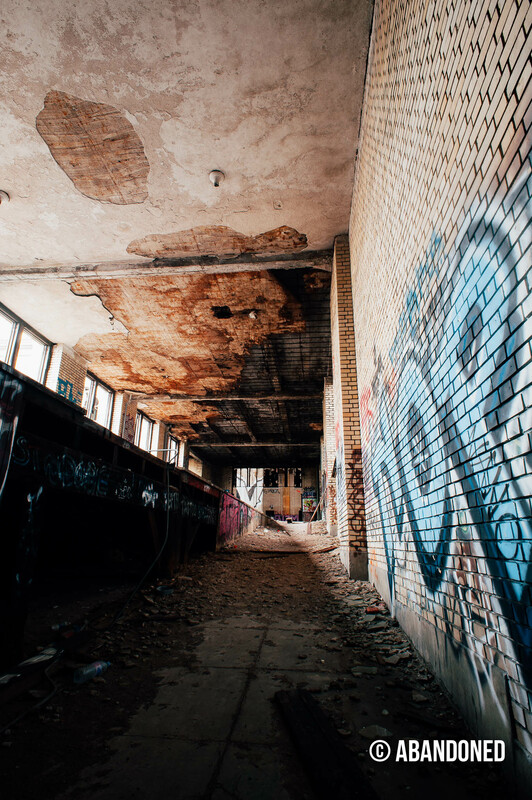 The owner of the station, Matty Maroun, who also owned the Ambassador Bridge, stated until a tenant and deal was lined up, that no money would be spent on preserving or cleaning the depot property. 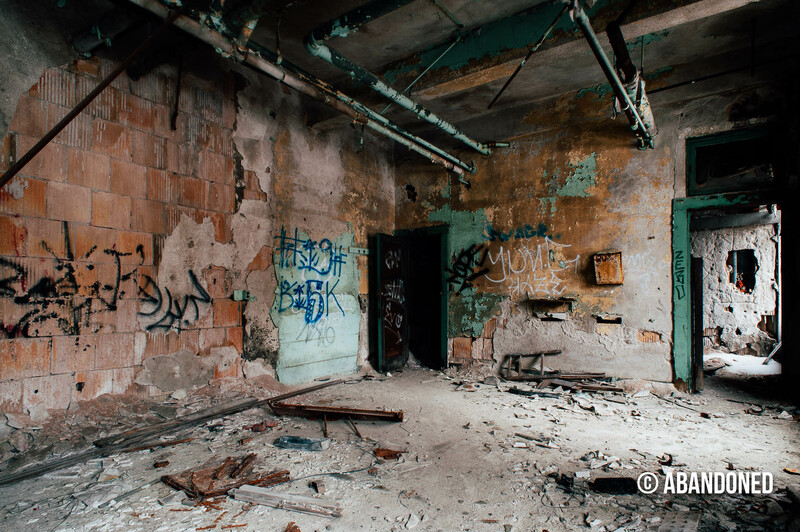 On April 7, 2009, the Detroit City Council passed a resolution calling for the emergency demolition of the station and charging the owner, Matty Moroun demolition costs. 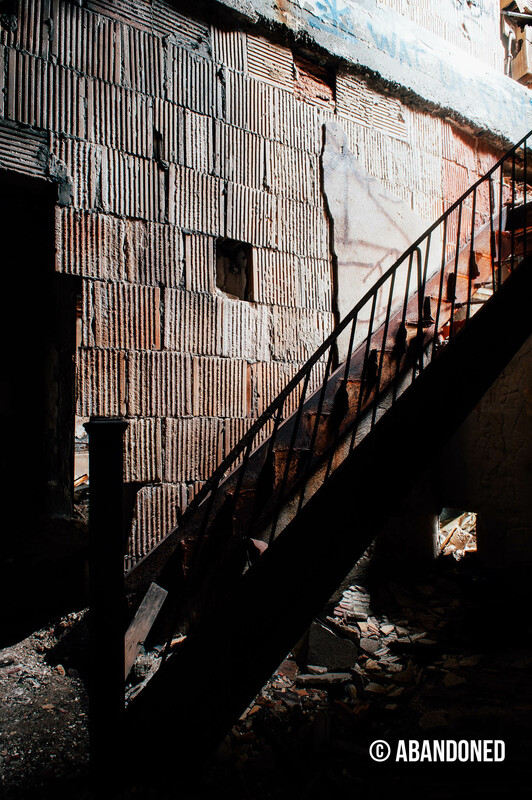 10 Then-Mayor Kenneth Cockrel Jr. had already requested $3.6 million via the American Recovery and Reinvestment Act and vowed to go after the building’s owner reimbursement. 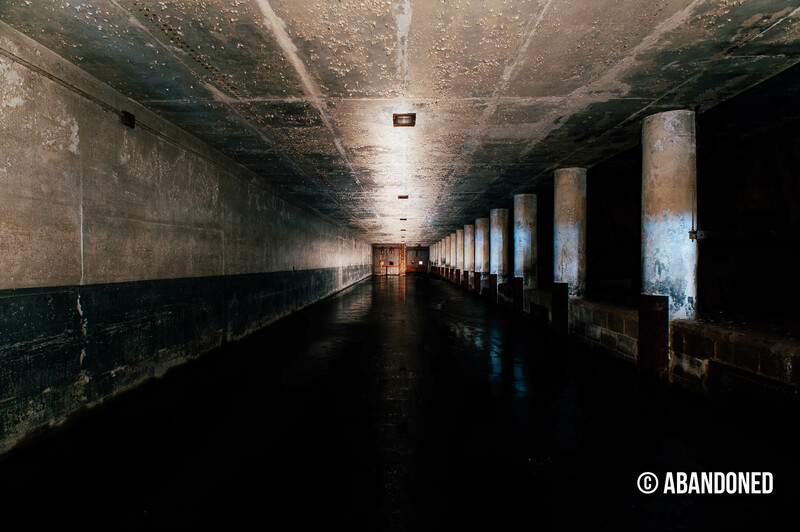 In August 2014, Moroun announced tentative renovation plans for Michigan Central Station after an agreement was reached with the city. 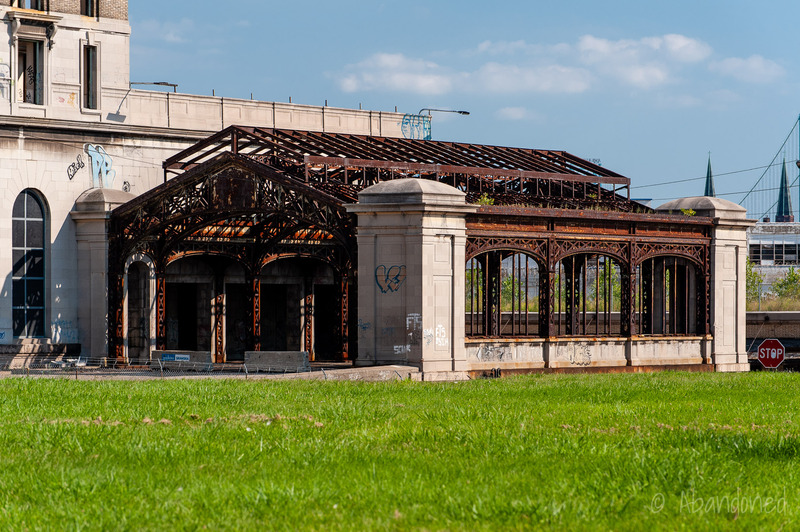 12 Under the deal, the city agreed to transfer three acres of the eastern portion of Riverside Park to Moroun’s bridge company in exchange for $3 million and 4.8 acres of riverfront land to the west for additional park space. 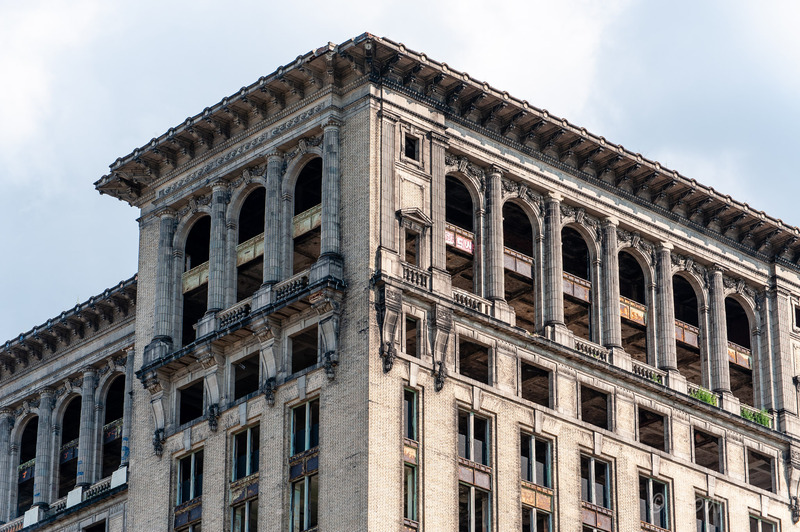 Chamberlain Glass and Metal, of St. Clair, Michigan, announced on February 23, 2015, that it had reached an agreement with Moroun to install 1,050 windows in Michigan Central Station. 12 The project was completed on December 31, on time and on budget. 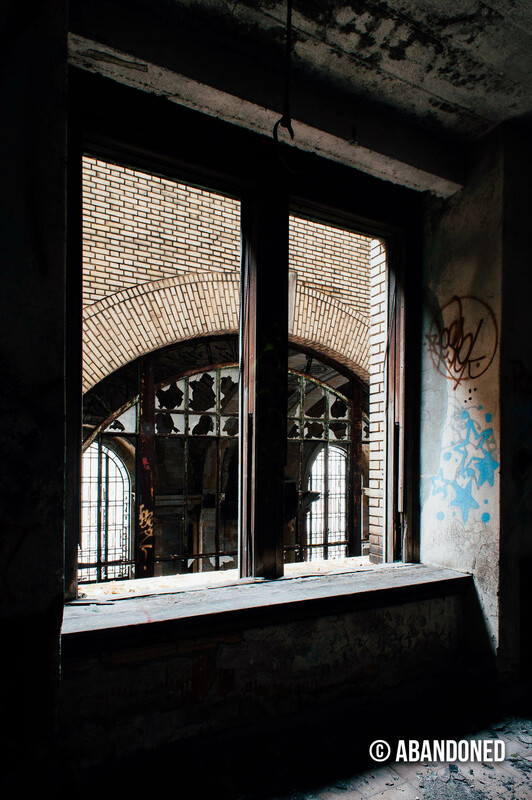 As of late-2015, more than $12 million has been expended by Moroun on electric, a new freight elevator, and windows. 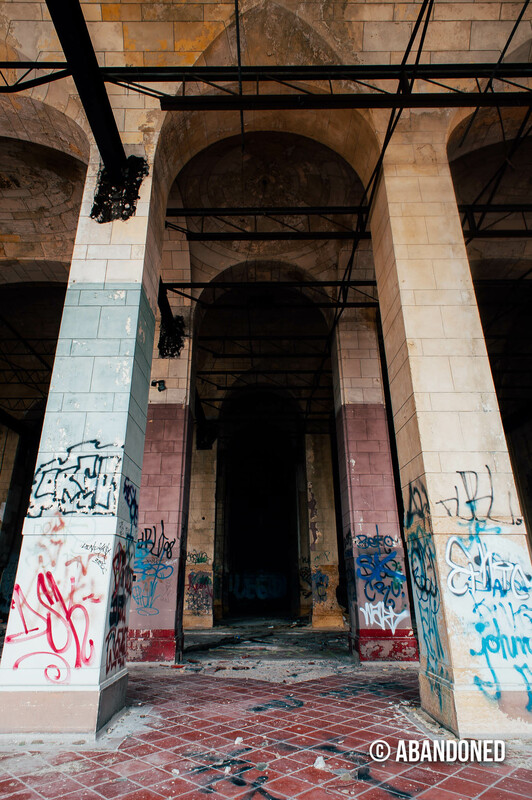 Sources reported that the Ford Motor Company began negotiations to acquire Michigan Central Station from Morouns’ Crown Enterprises in March 2018. 13 Michael Samhat, president of Crown Enterprises, refuted the rumors, as did Ford Land Development, Ford Motor’s real estate company. 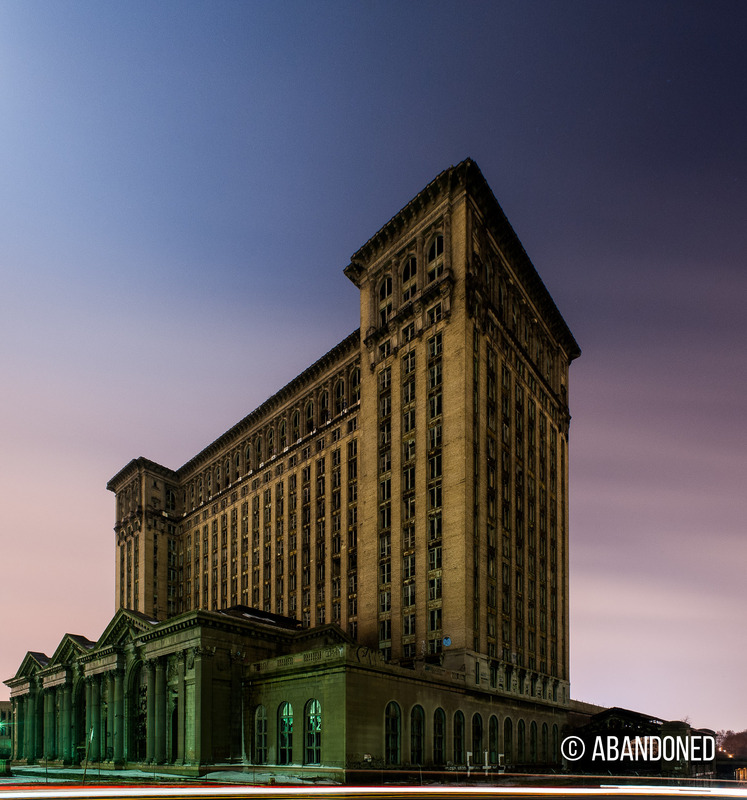 But on June 11, 16 Ford closed on a $90 million 15 deal to acquire the abandoned depot from Crown. 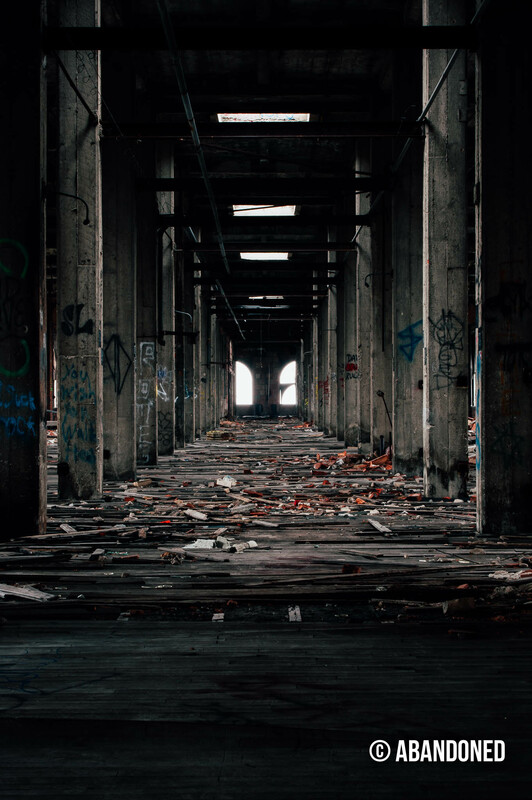 15 It was followed by the October approval of $104 million in tax breaks for Ford over 35 years. 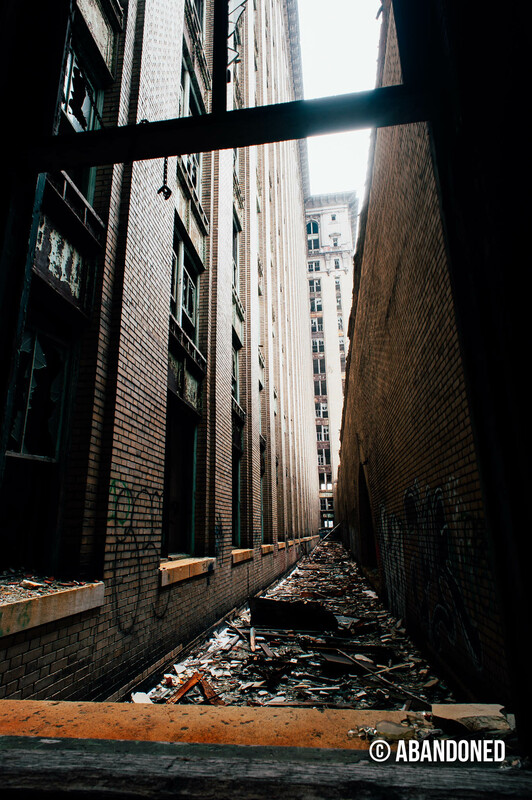 14 After negotiations between Ford and neighborhood leaders, the city approved a community benefits agreement in which the company must invest $10 million in the Corktown neighborhood, including $5 million in workforce training and education. 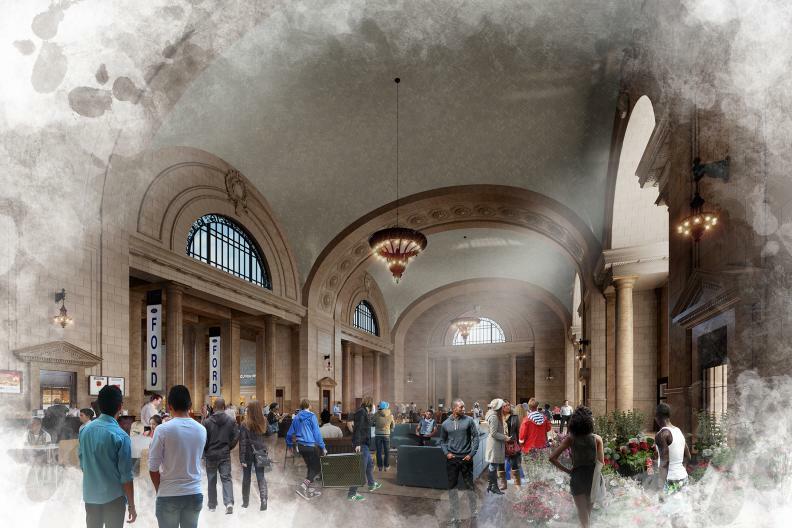 Ford chose Quinn Evans Architects to lead the design of the reimagined Michigan Central Station in November. 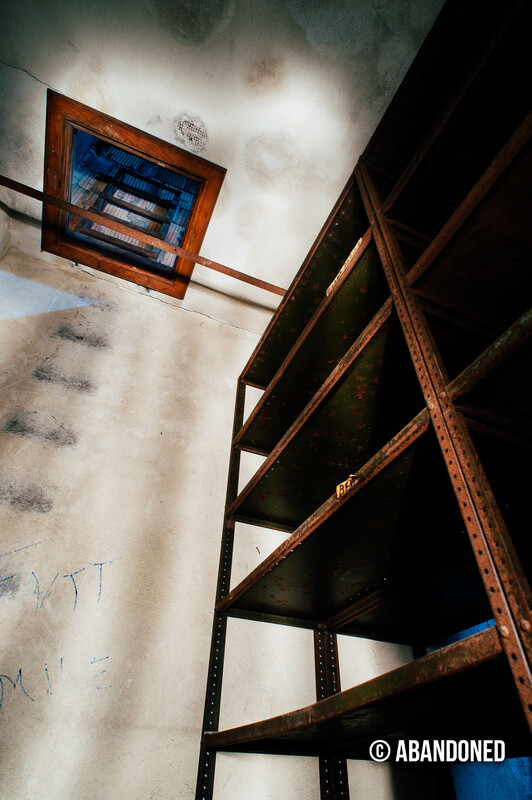 14 The company had worked previously on more than 60 preservation or restoration projects at national historic landmarks. Ford also chose Christman Brinker to lead construction. 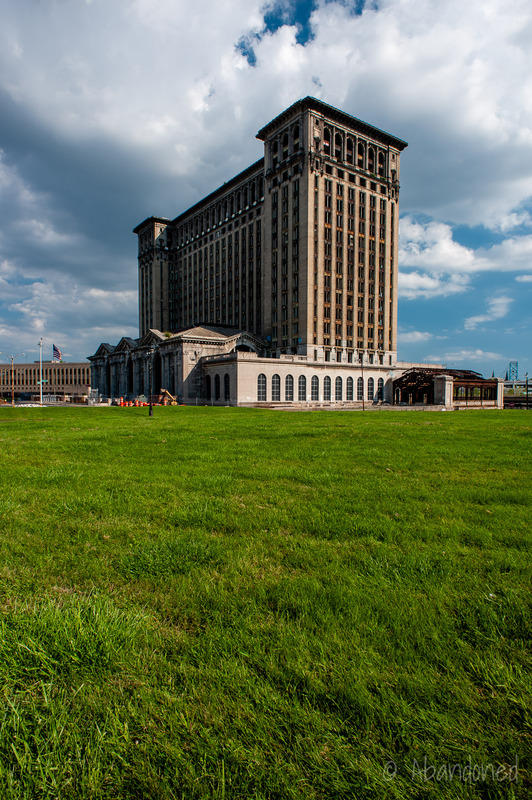 The restored station is expected to cost $740 million. 14 Construction is expected to begin by the end of 2018 and finish by 2022. 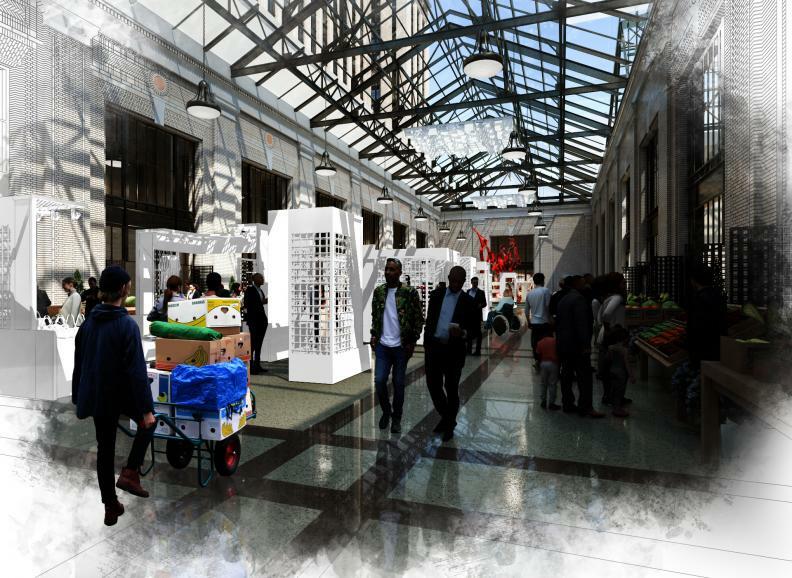 It is estimated that the project will entail 2.5 million man-hours and 2,000 workers. A view of the station in December 2013. A view of the station in August 2013. 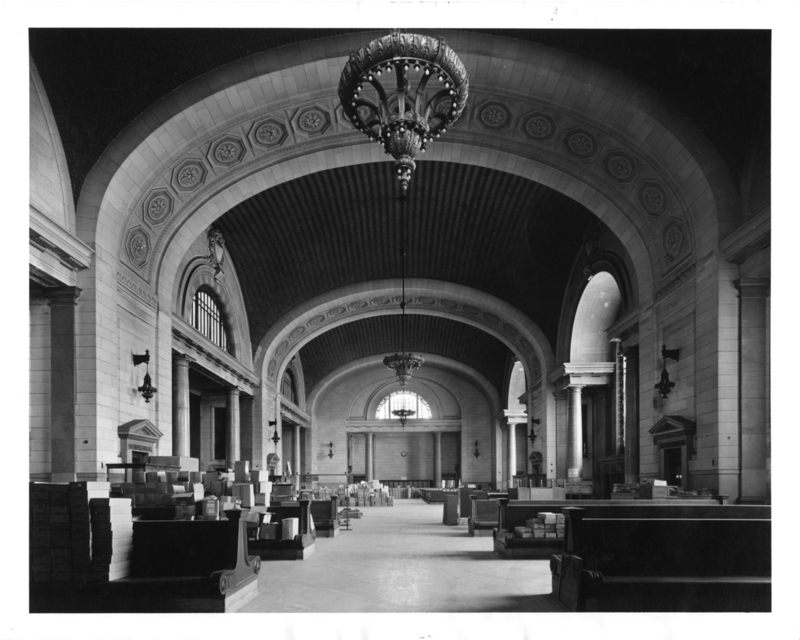 A view of the lobby in 2009. 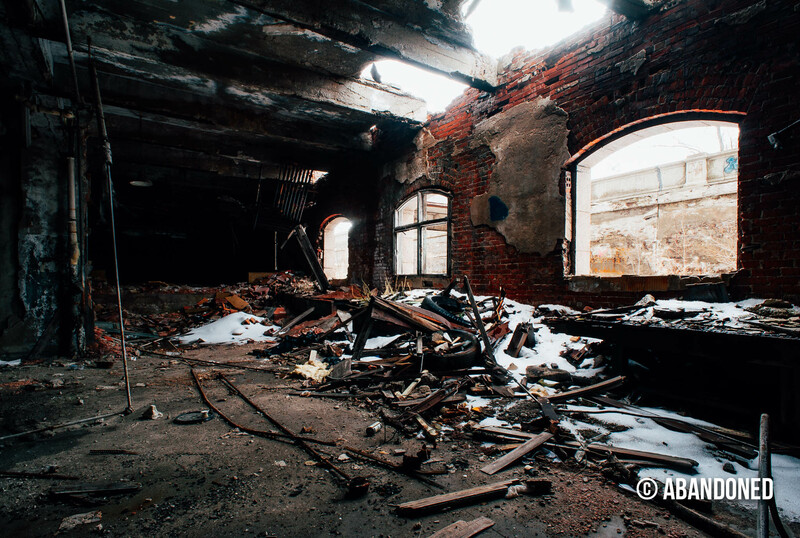 The top floor was never outfitted. Postcard by the Valentine Souvenir Company. 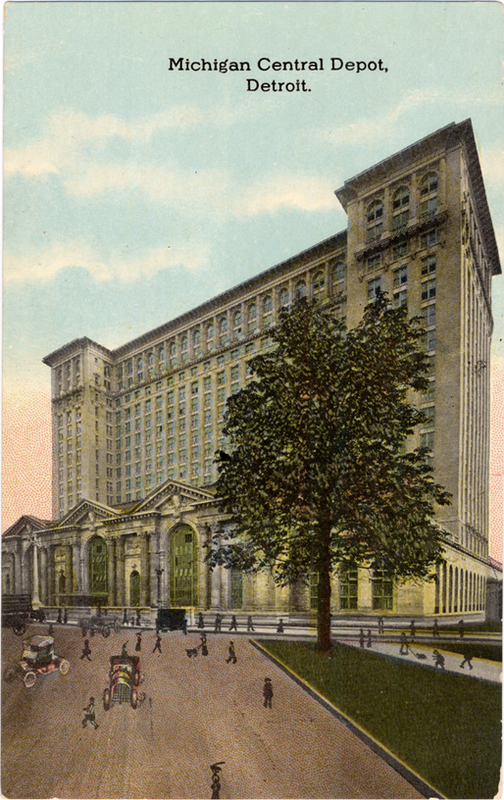 Postcard by the Curt Teich and Company. 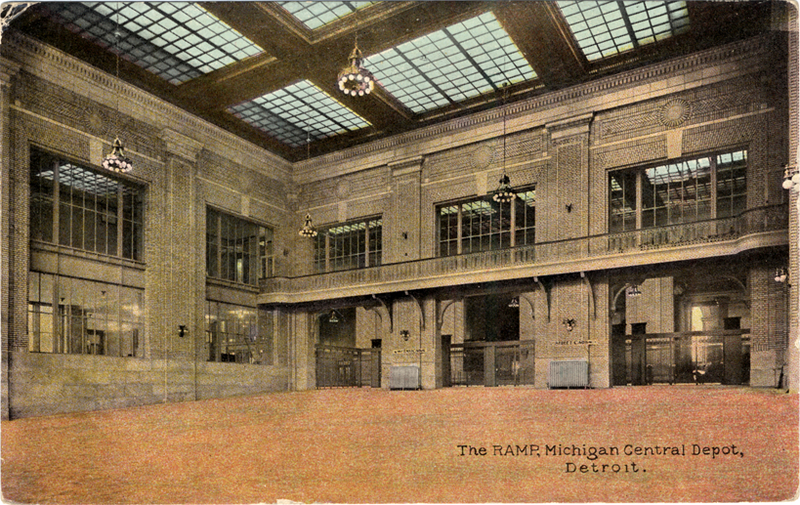 Postcard by the United News Company. 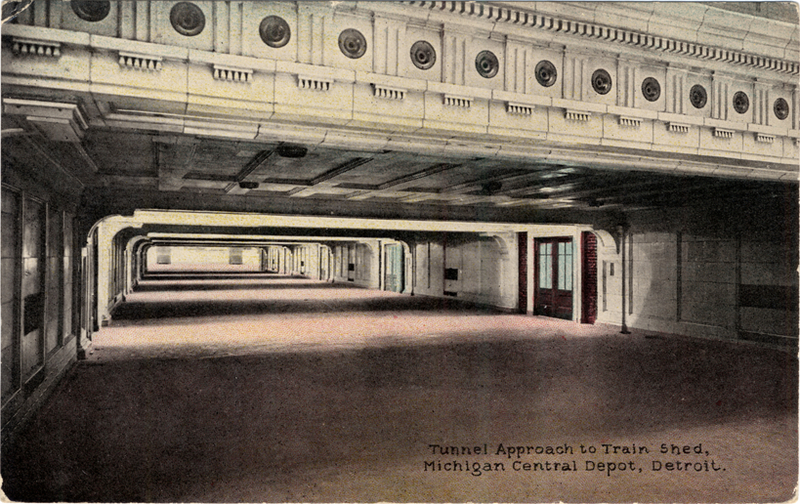 Postcard by the Curt Teich and Company circa 1913. 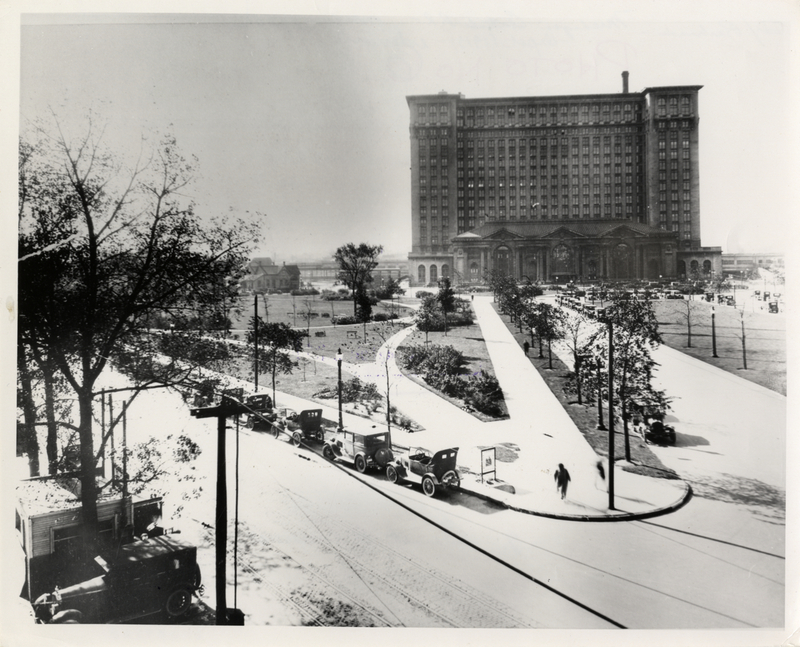 Photograph by The Detroiter circa 1925. Photograph by Ed Nowak circa 1927. 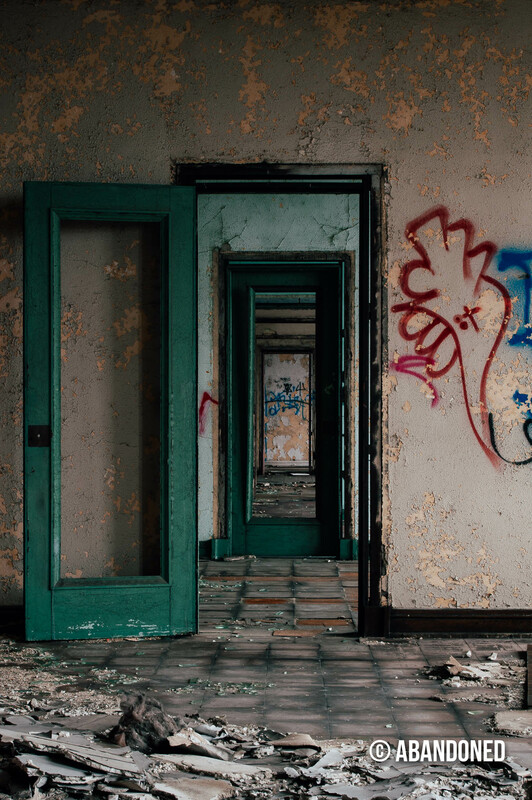 Photograph by the Detroit News. 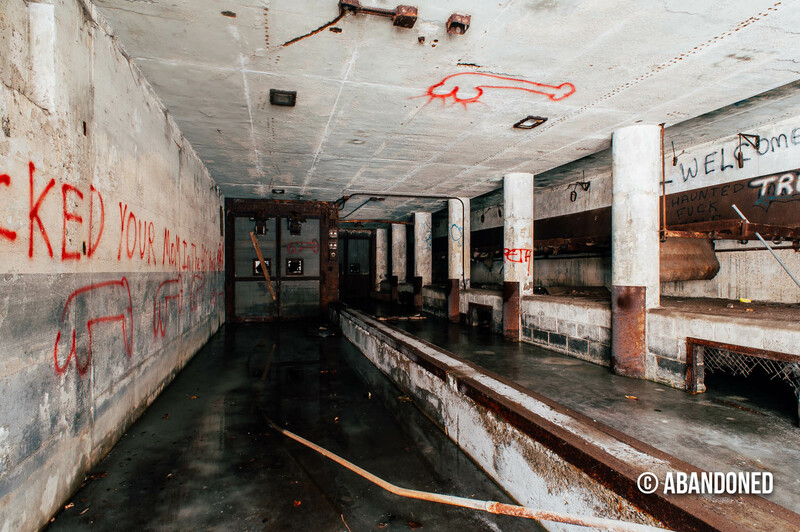 A view of the waiting room when it was used as storage. Photograph by Dave Jordano circa 1977. 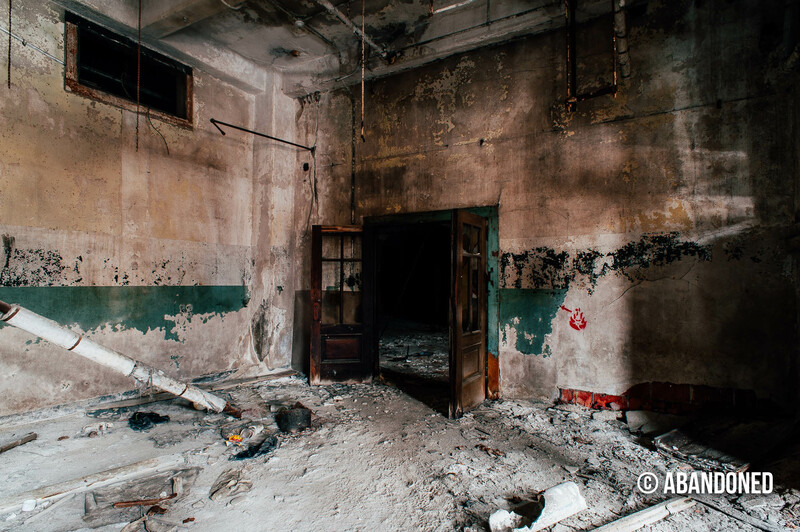 A view of the waiting room. 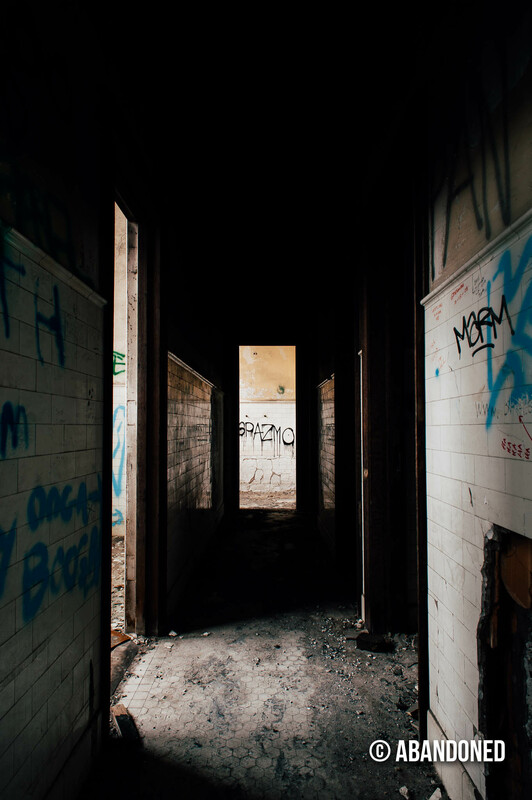 Photograph by Normal Hammerl. 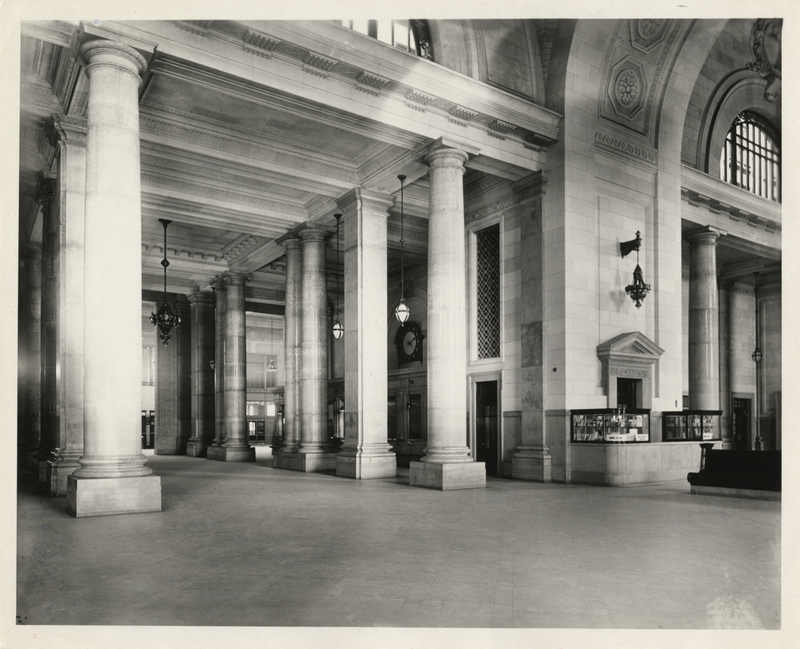 A view of the ticket booths circa 1916 photograph by the Manning Brothers. 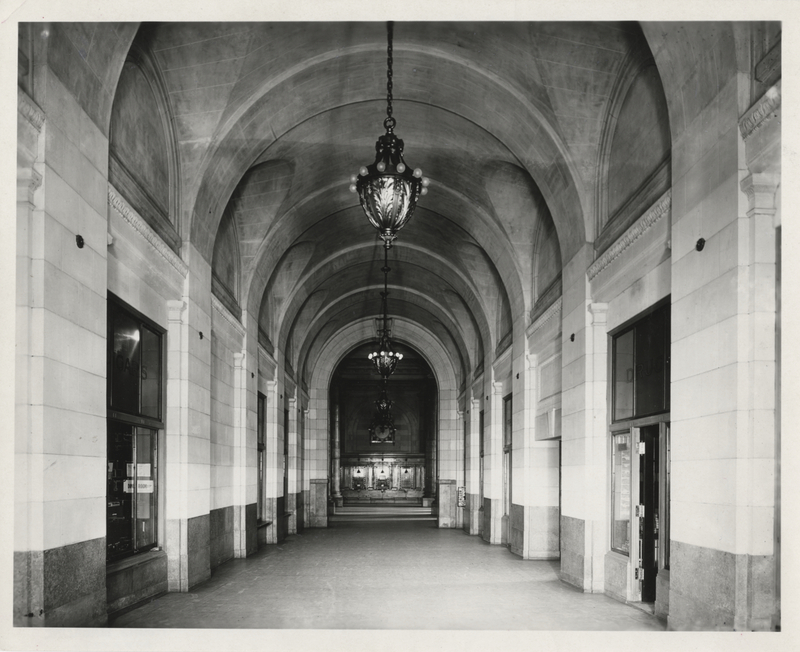 A view inside circa 1916 photograph by the Manning Brothers. 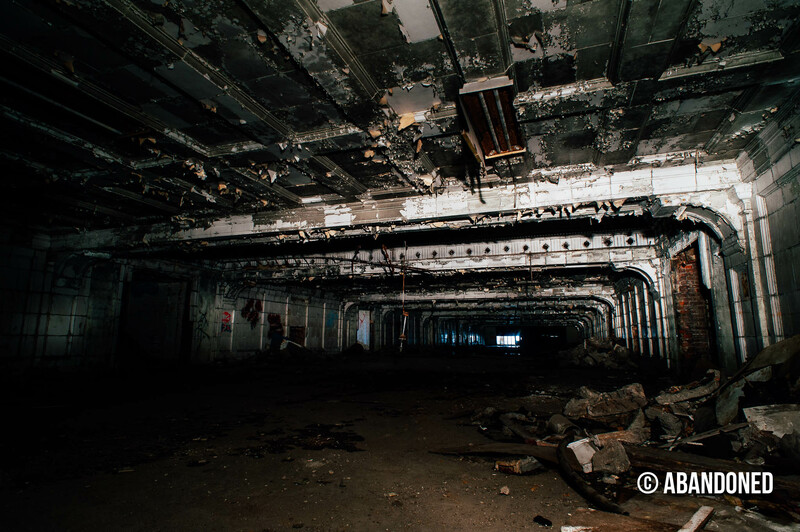 A view of the tunnel approach to the train shed. 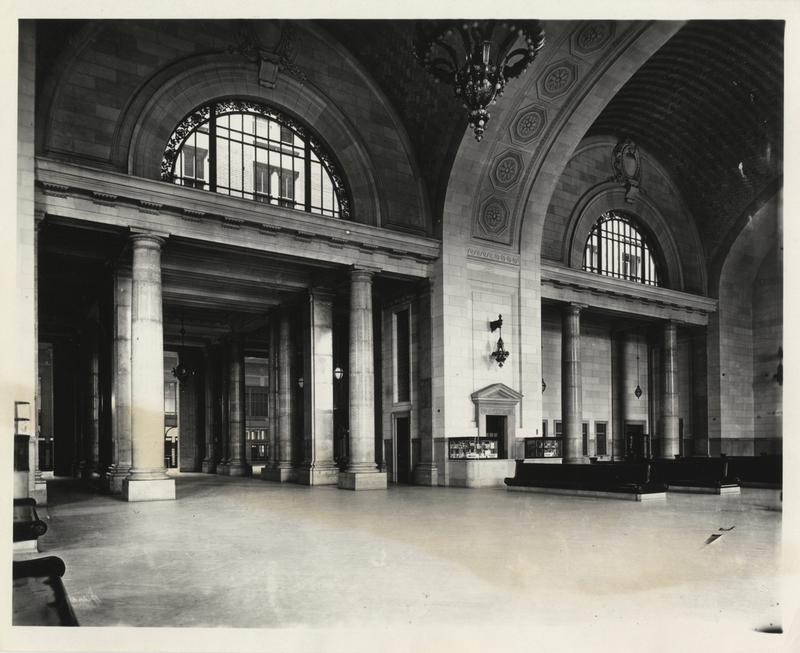 Source: Detroit Public Library Burton Historical Collection. Aguilar, Louis. 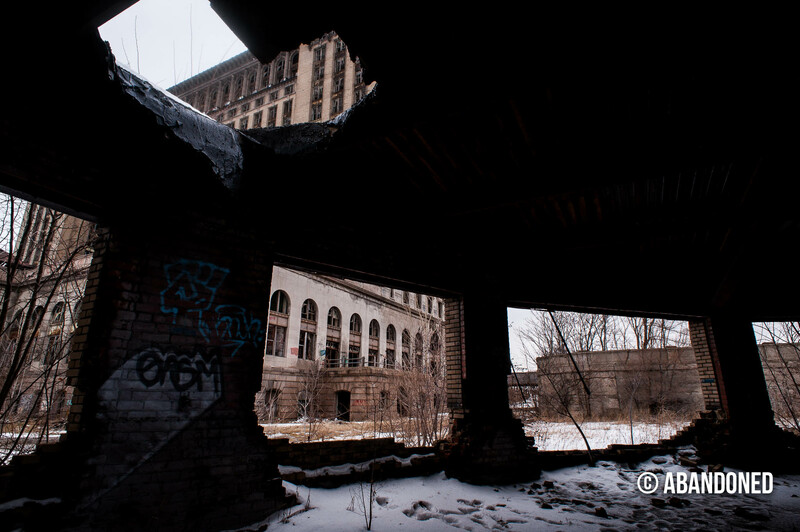 “Michigan Central Depot owners say ‘Roll ’em!’.” Detroit News 8 April 2008. 14 Jan. 2009. Mullen, Ann. “On Track.” Metro Times [Detroit] 6 August 2008. 14 Jan. 2009 Article. Fitch, Stephanie and Joann Muller. “The Troll Under the Bridge.” Forbes 15 Nov. 2004. 14 Jan. 2009. Hill, Eric J., and John Gallagher. 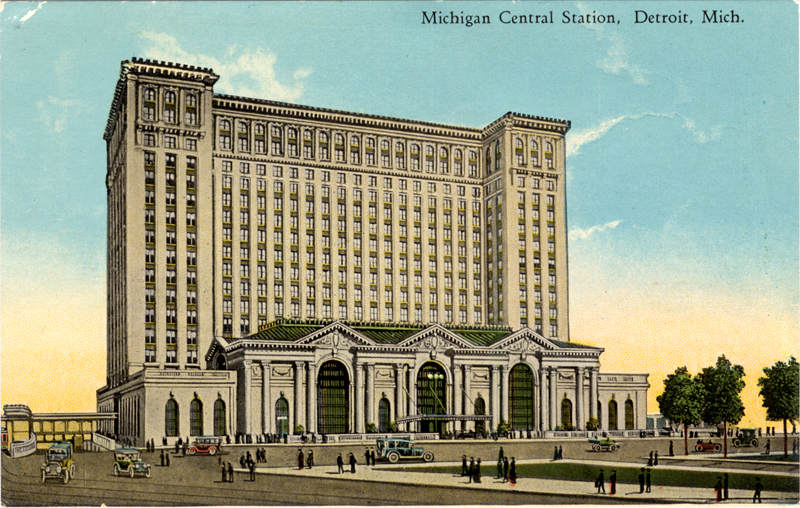 “Michigan Central Railroad Station.” AIA Detroit: The American Institute of Architects Guide to Detroit Architecture. Detroit: Wayne State University Press, 2002. 220. Sharoff, Robert, and William Zbaren. 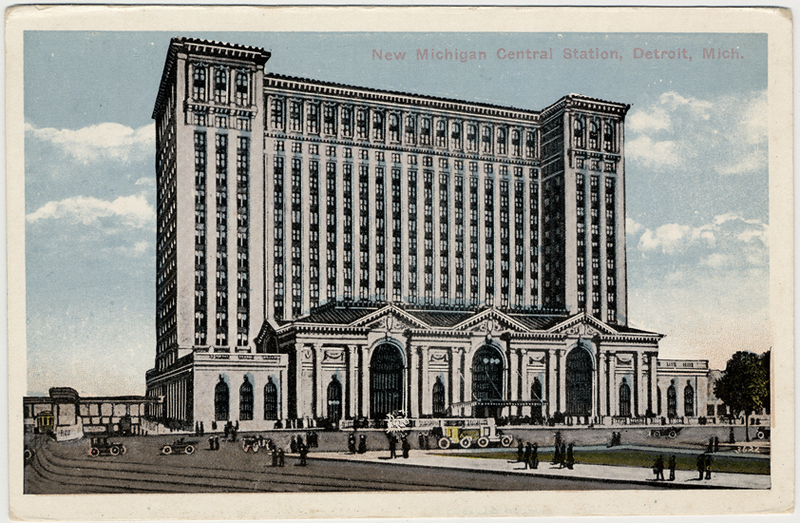 “Michigan Central Railroad Station.” American City: Detroit Architecture, 1845-2005. Detroit: Wayne State University Press, 2005. 28. Sobocinski, Melanie Grunow, et al. 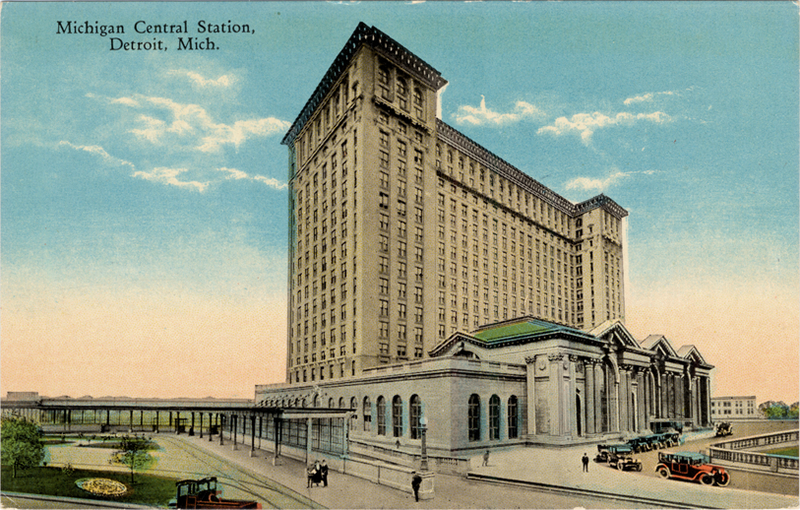 “Michigan Central Railroad Station.” Detroit and Rome: Building on the Past. Ann Arbor: The Regents of the Univ of Michigan, 2005. 110. 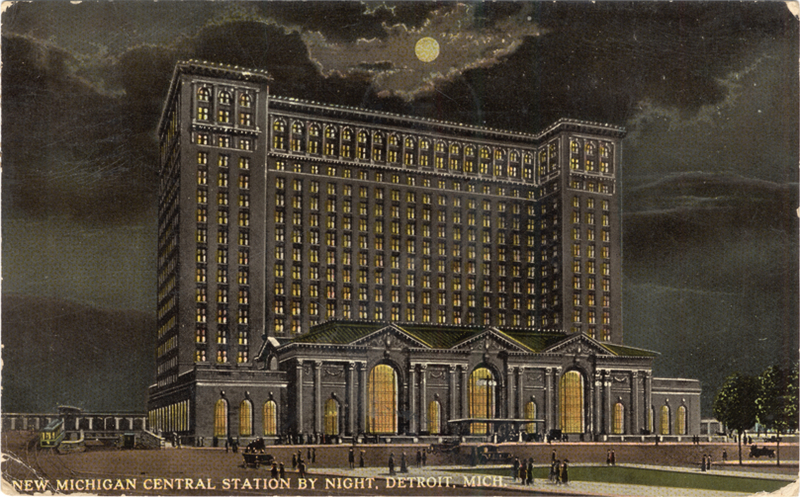 “Michigan Central Station.” Buildings of Detroit. 15 Jan. 2009. Winkle, Louis Van. 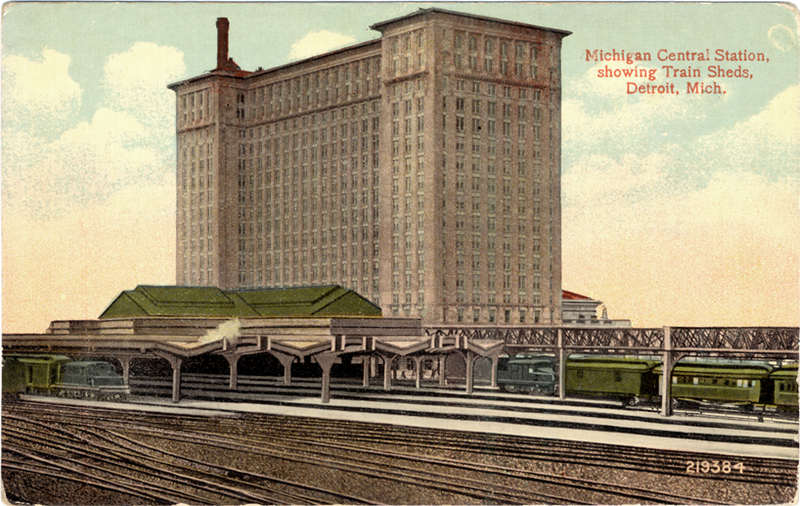 “Detroit MC Depot.” Michigan Passenger Stations. Apr. 2003. 14 Jan. 2009. Kohrman, David. 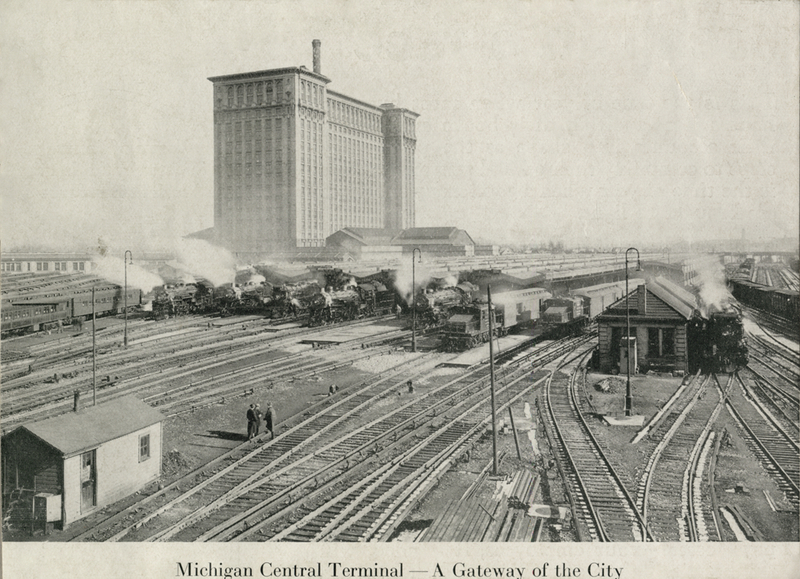 “Michigan Central Depot: History.” Forgotten Detroit. 28 Mar. 2005. 14 Jan. 2009 Article. Josar, David. 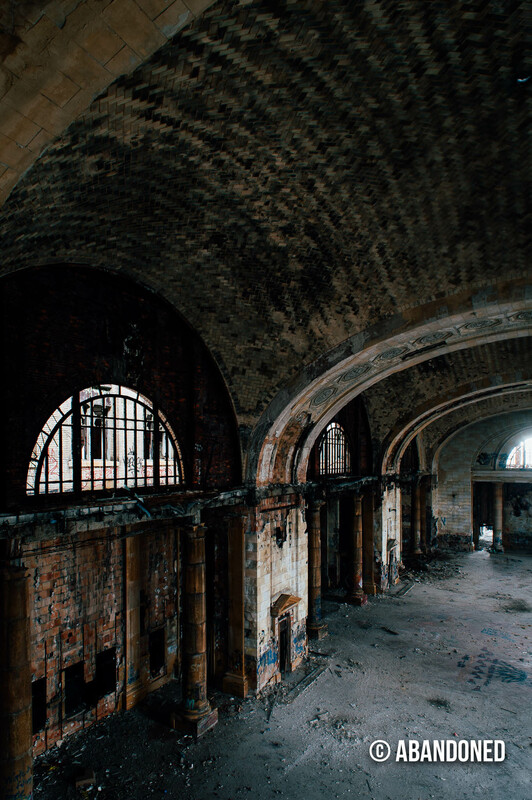 “Detroit council votes to demolish Michigan Central Depot, charge owner.” Detroit News 8 April 2009. 7 April 2009. 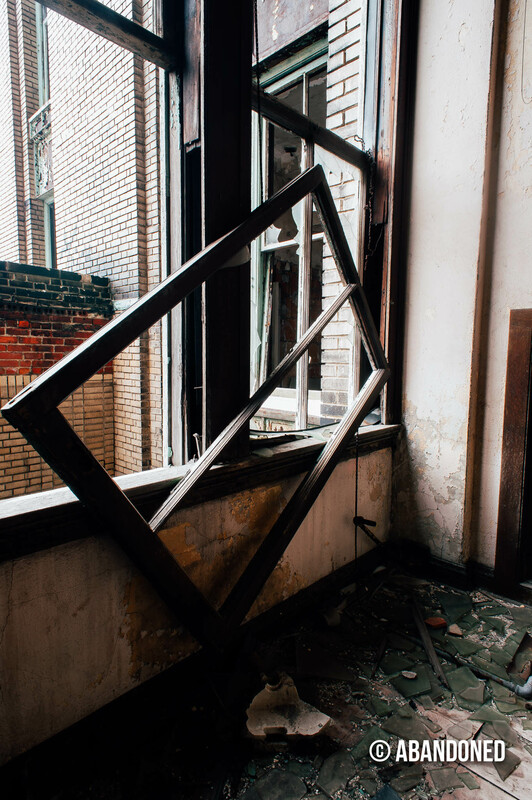 Patton, Naomi R. “Detroit landmarks are spared the wrecking ball – for now.” Detroit Free Press 19 May 2009. 19 May 2009. Thibodeau, Ian. 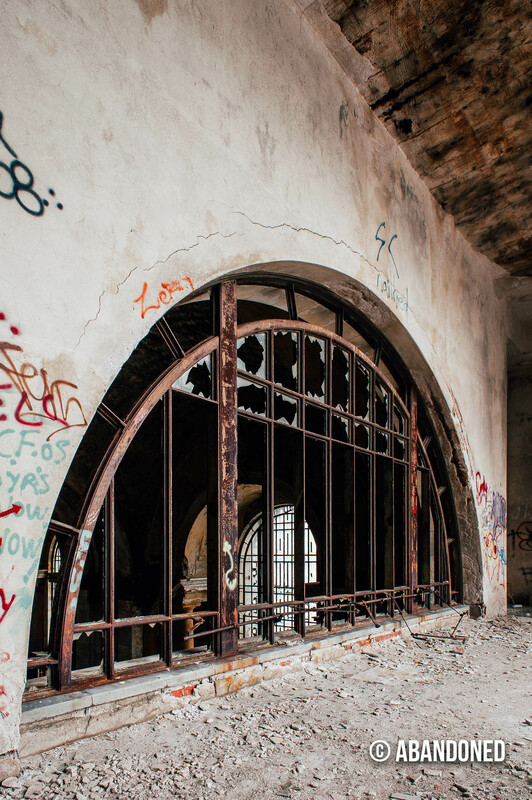 “Windows at Michigan Central Station completed on time and budget.” Detroit Free Press 4 Feb. 2016. Web. 12 Oct. 2016. Pinho, Kirk and Chad Livengood. 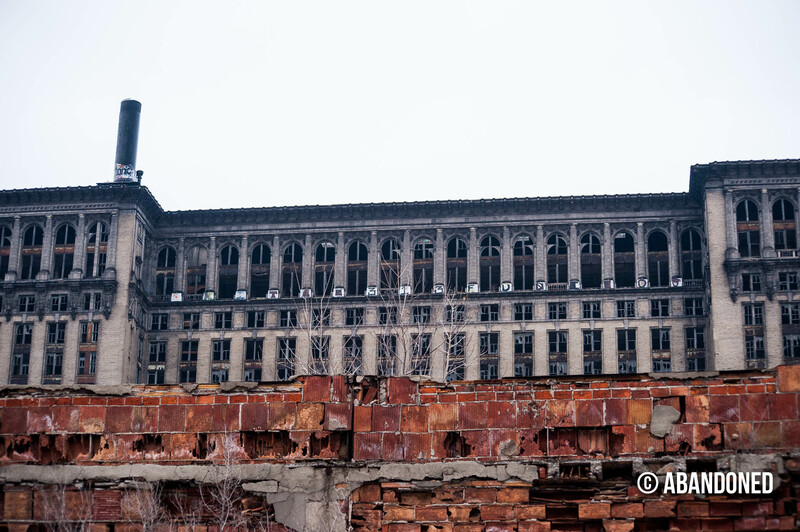 “Sources: Ford pursues deal to buy, redevelop Michigan Central Station.” Crain’s Detroit Business, 19 Mar. 2018. Frank, Annalise. 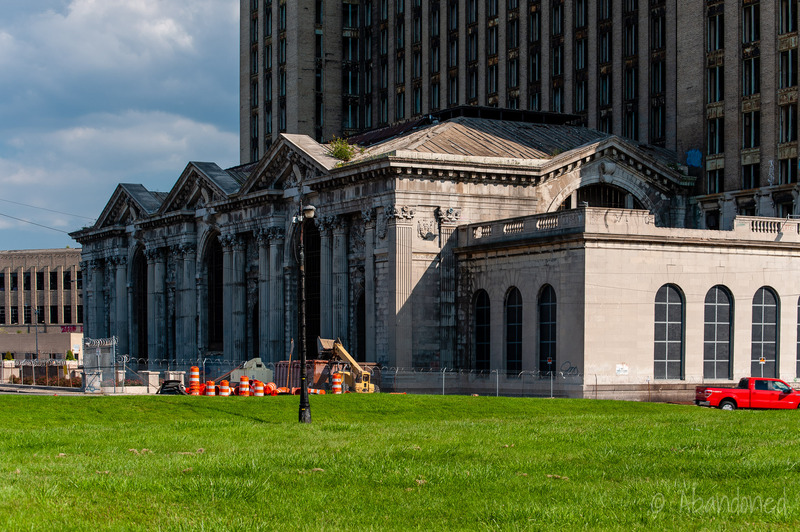 “Ford chooses Christman Brinker, Quinn Evans Architects to lead Michigan Central Station project.” Crain’s Detroit Business, 8 Nov. 2018. Gross, Allie. 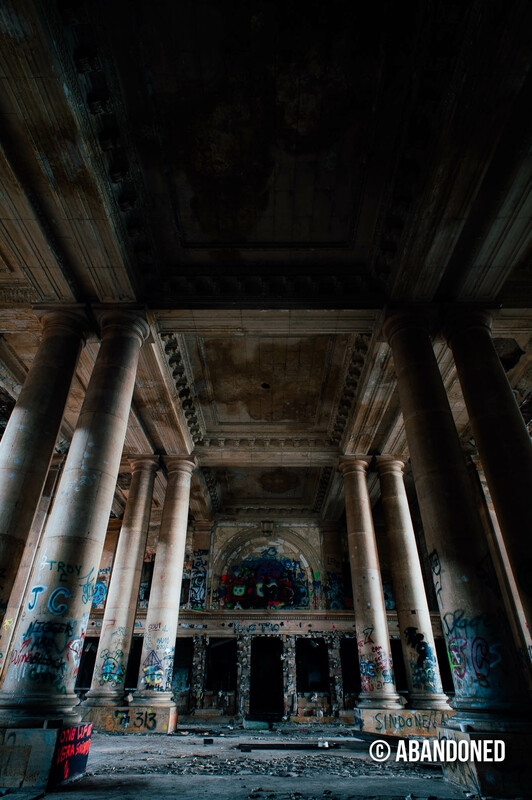 “Ford paid $90M for Michigan Central Station.” Detroit Free Press, 25 Sept. 2018. 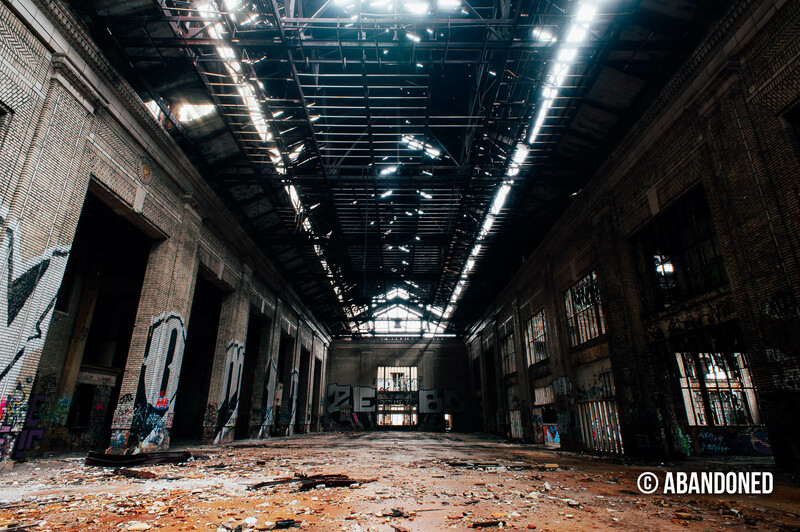 Wootson, Cleve R. “Michigan Central Depot is a towering symbol of Detroit’s blight. Ford just bought it..” Washington Post, 11 Jun. 2018.